The old MicroProse X-COM PC game series is a big hit among old-school gamers thanks to its engrossing blend of turn-based strategy and grand-scale planning. 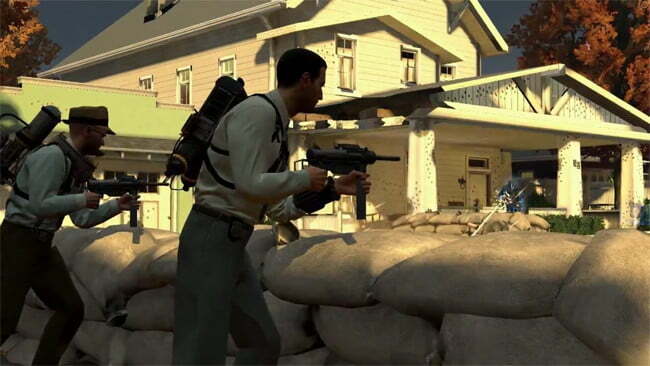 When 2K Games revealed a reboot at E3 2010 as a first-person shooter, confusion and fanrage ensued. Why replace such solid fundamentals with a cookie-cutter “government agent shooting aliens” FPS, we wondered? As it turns out, there’s a whole lot more to what’s going on with XCOM than anyone realized, a fact revealed by 2K Marin’s E3 demo last week. The game is indeed wrapped in the shell of a first-person perspective and a fair amount of shooting does happen, but XCOM appears to be driven by mechanics built on the core ideas of the series. You play William Carter in the prequel story, set during the early days of the alien arrival. The basic premise sees you putting together the XCOM organization one step at a time, building up a team of field agents and researchers to aid humanity in its ongoing fight against an extraterrestrial menace. 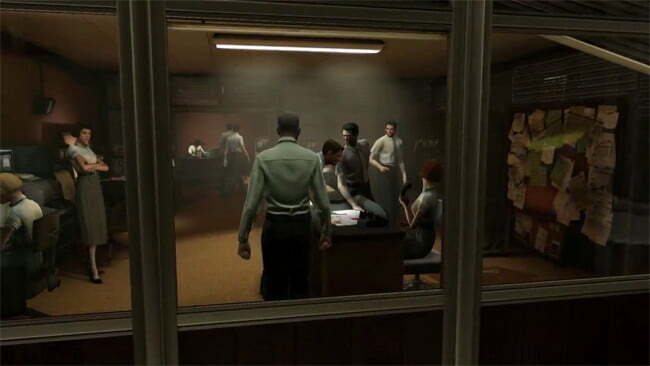 All action in the game springs forth from missions accepted and staffed at your secret headquarters. The HQ seems to serve as a fully interactive menu. The space you can explore is filled with agents and advisors who can fill you in on what’s happening in the world, research areas where you can test new tech in development and, of course, a master map for zeroing in on hotspots that demand on the ground attention. Once you’ve selected a mission — there’s a main story thread as well as secondary tasks that offer resource rewards — you pick out a pair of agents to join you in the field from your available roster. Each agent must be nurtured. Their powers and perks provide necessary tactical advantages in the field, and all stats can be improved with experience. 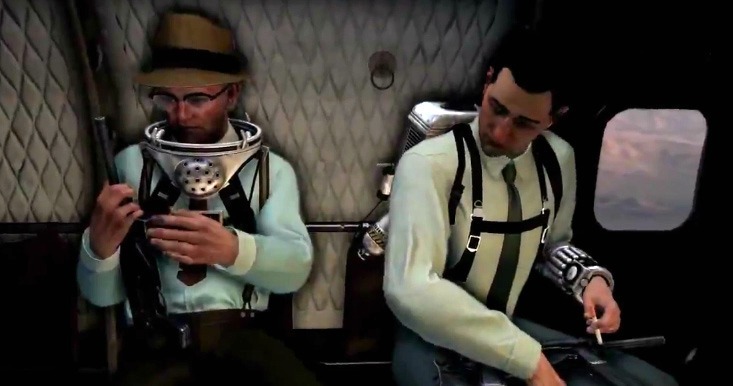 For the E3 demo, 2K Marin’s Morgan Gray selected what appeared to be an early story mission in which William and his team were tasked with locating Dr. Alan Weir. The hunt was to begin at a military checkpoint, which turned out to be abandoned and littered with corpses. The alien presence soon made itself known and a fight through suburban streets ensued. The invaders come in multiple shapes and sizes, with standard soldier types complemented by stealthy shapeshifters, stationary turrets and a massive superweapon called the Titan, which was described as the alien equivalent of a B-52 bomber. Your team members will fight on their own, taking cover as necessary and all that jazz, but you can issue individual orders by calling up a radial menu, which pauses the action. You can position your agents, have them use one power or another, lay down suppressing fire, all of the tactical options we’ve come to expect from this sort of game. Stacking up orders depletes your supply of time units, which regenerate on their own as the battle unfolds. For the sake of comparison, the tactical side of combat falls close in design to what you see in Mass Effect, though XCOM seems to place a much greater emphasis on putting that range of options to work. In one example, our team was pinned down by the aforementioned Titan, which, in addition to raining down powerful lasers from above, also electrifies the outdoor portion of the battlefield. William and his squad ran for cover, but one went down just outside. The remaining agent was ordered to use his shield power, which creates protective bubble large enough to accommodate the three-man squad, and provide cover as William dashed outside to revive his fallen partner. A simple example for sure, but a sign at least that tactical planning is a focus of the game. There’s also always an opportunity to capture alien technology on the battlefield. The new XCOM organization is still learning about these extra-terrestrial invaders when the game opens, so anything you can pick up during missions helps the larger cause. If you manage to disable an alien device, even something as large as the Titan, without destroying it, it can be captured. You then have the option of either redeploying it elsewhere on the battlefield for an instant boost during that mission, or bringing it back home to improve the progress of your R&D efforts. In all, it looks and sounds as though there are a lot of good ideas running around in XCOM. The visuals aren’t particularly impressive — though it’s worth noting that we saw an early build of the planned 2012 release — but they don’t need to be best-in-class if the gameplay is as deep as it appears to be. Pushing past all of that, this XCOM reboot is a lot more encouraging if you’re a fan of the classic series than it originally seemed to be.